Import legacy clothing made for Mixamo Fuse! 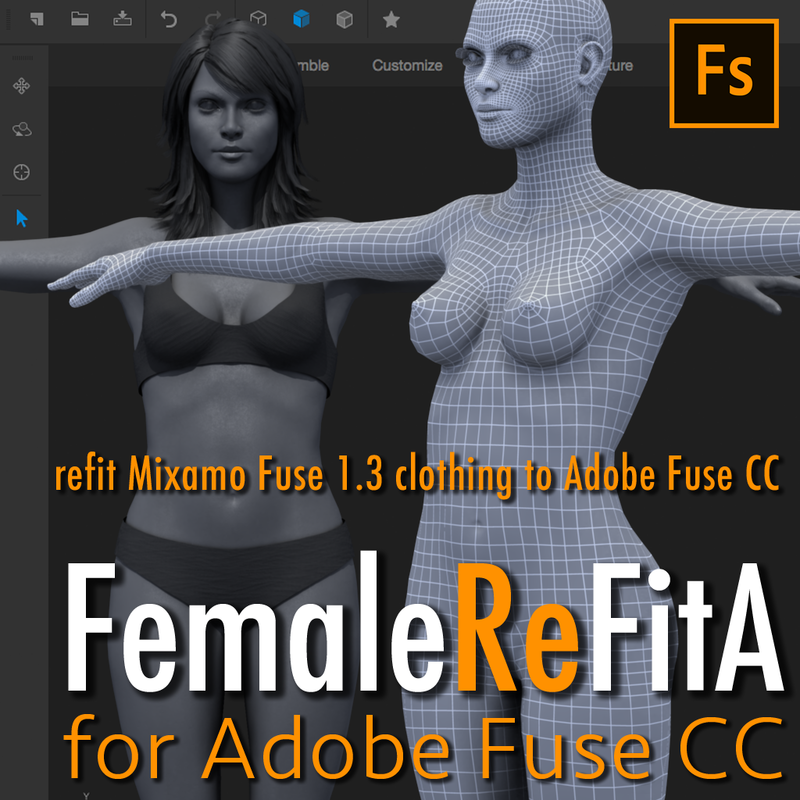 Female ReFit A bodybase is the shape of the legacy female from Mixamo Fuse, but uses the newer cage mesh from Adobe Fuse CC (2015). NEW! This is a complete rebuild of the ReFit A figure. – only on itch.io…! More faithful to the legacy female. Eyes and teeth are correctly positioned. 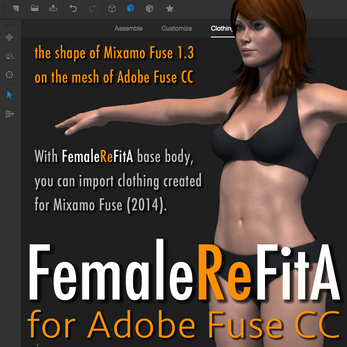 UV seams are carefully mapped to the newer basemesh – better seams than Mixamo Female Fit A! 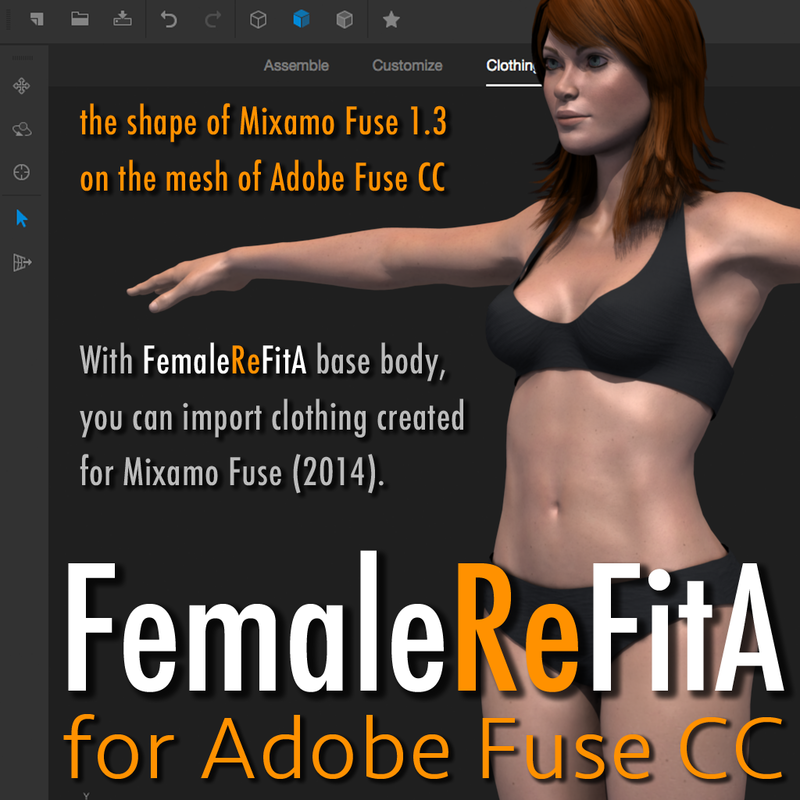 Compatible with all current clothing and body textures in Adobe Fuse CC. ReFitA is a fully useable figure! Adds "FemaleReFitA" option for clothing imports. 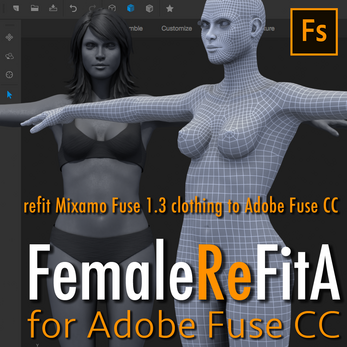 Clothing made for Mixamo Fuse female can fit current figures! 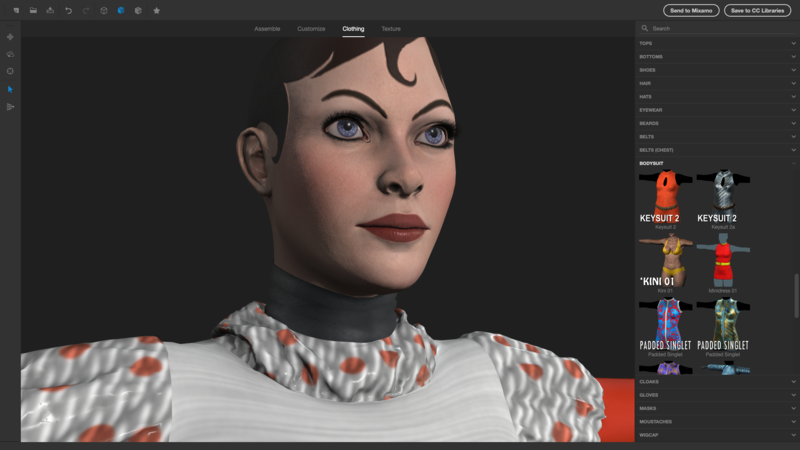 *Occlusion Masks on legacy clothing may need updating to current polygon mesh.